For over 20 years Netrovert has been a global provider of Enterprise Application services assisting leading business organizations to deploy IT solutions with a primary focus on SOA, BPM, MDM, Big Data, API management, Microservices, and hosted cloud solutions. 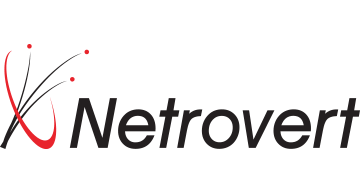 Netrovert has a proven track record of delivering comprehensive, industry-standard solutions, solving business problems under real-world constraints and timelines, across all major vertical markets including retail, health care, cable and media, telecommunications, energy and financials services. From strategy, system integration, deployment, QA and testing to ultimate knowledge transfer, our team of over 150 senior consultants helps companies realizes an immediate return on investment, improved productivity, and enhanced relationships with their customers. Our client-focused Agile methodology has maintained consistence in delivering high-performance, scalable, and stable solutions that exceed customer expectations in a highly competitive business landscape. Our 24/7 blended onshore/offshore model makes it possible to deliver projects in scope, on time and within a budget anywhere in the world.